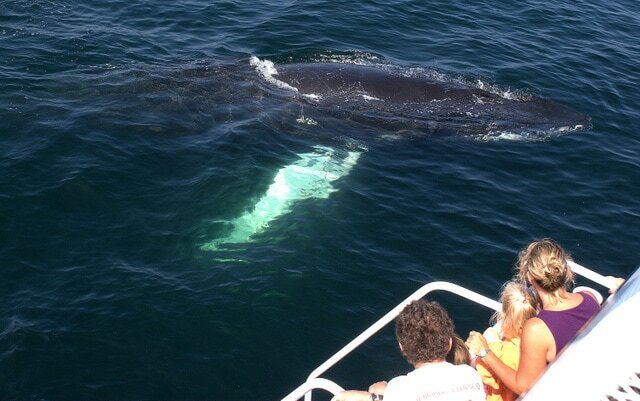 Provincetown Natural Beauty & So Much More at Your Doorstep! ​In front of you are natures wonders, behind you to the left is shopping & restaurants and to the right art galleries & restaurants. Climb the Pilgrim Monument, bike through the dunes, catch a parade, visit a gallery, go shopping or fishing or take a relaxing sail and when the day is done, dine at one of the greatest restaurants on the Cape. All this and more is right at your door when you stay at Lucy Cross House in Provincetown. Leave you car there, our guests park for free and everything else is within walking distance or a short bike ride. Flying in to Boston, take the Boston Ferry direct to Provincetown...no car needed. 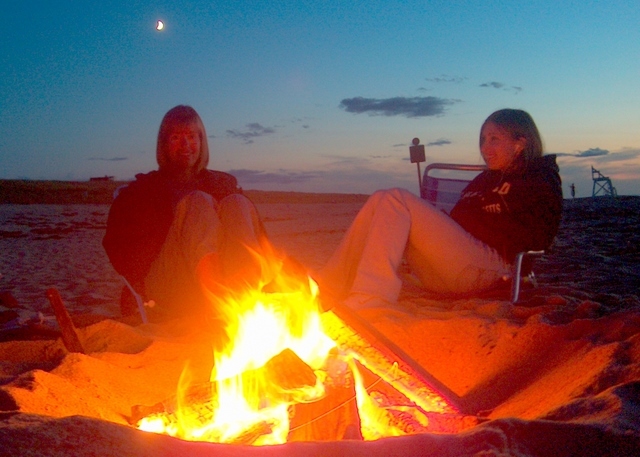 The National Seashore allows bonfires on the beach. Grab a beach chair and your favorite beverage and watch the sun set over the water. Sign up for one of the permits. You'll be surprised how good your odds of getting one are. One of the real gems of the sand dunes is the pave biked trail that runs throughout the National Seashore. 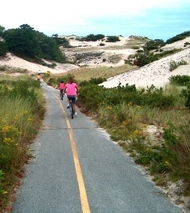 The bike path runs through the sand dunes from Route 6 to Race Point Beach, over to Hearing Cove Beach and back out to Route 6.